For the final workshop in the May series, get ready for some amazing drumming. 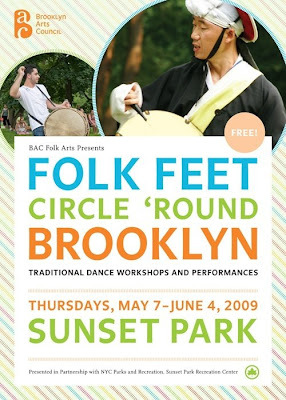 In addition to the cultures represented in the previous evenings, Egyptian and Indian drumming will add their beats. Even if you've missed the other workshops, make sure to check out this one. 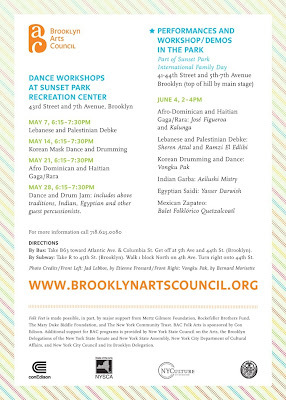 Be at the Sunset Park Recreation Center from 6:15 to 7:30 PM for a great time.